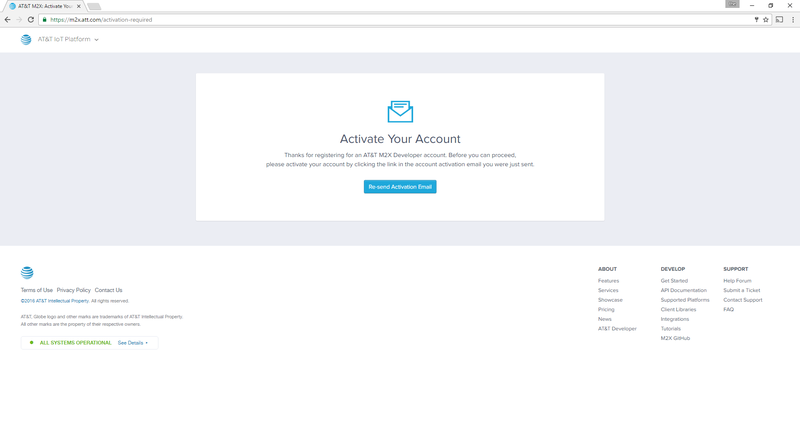 Create an account on https://m2x.att.com, if you do not yet have one. 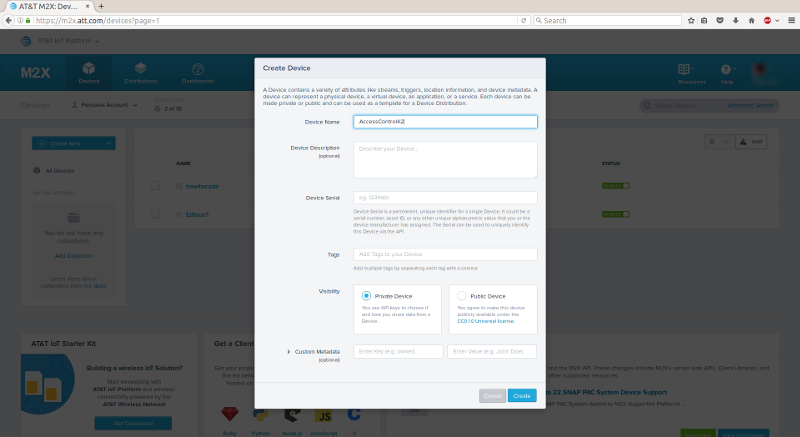 If you already have an account, you can skip directly to "Adding your first device" below. Fill out your information when signing up. 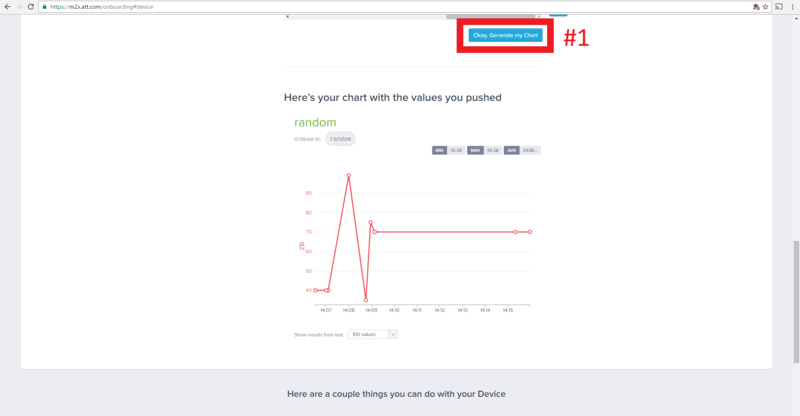 If you have a brand new account, and are adding your very first device, follow these instructions. 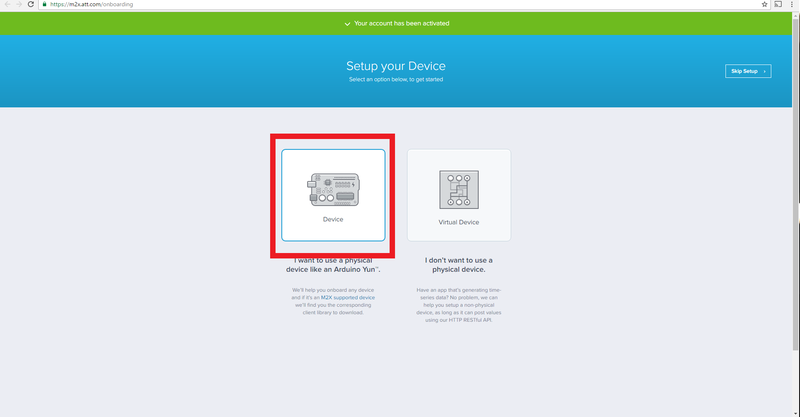 Otherwise, skip to "Adding another device"
Click on the "Devices" link on the top of the page to navigate to the "Devices" page, then click on the "Create Device"
Select the "Select Device" button. Define your device. Select "other" in the select your device dropdown box. Then continue to define your device. 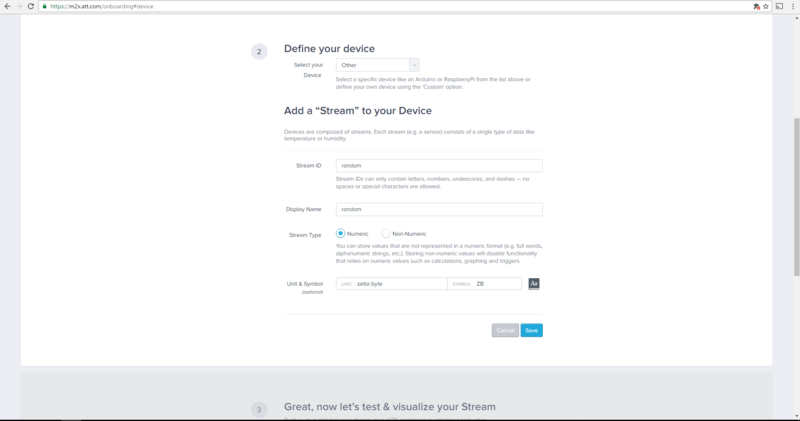 Make sure that you create a new Stream at the same time that you create your device. 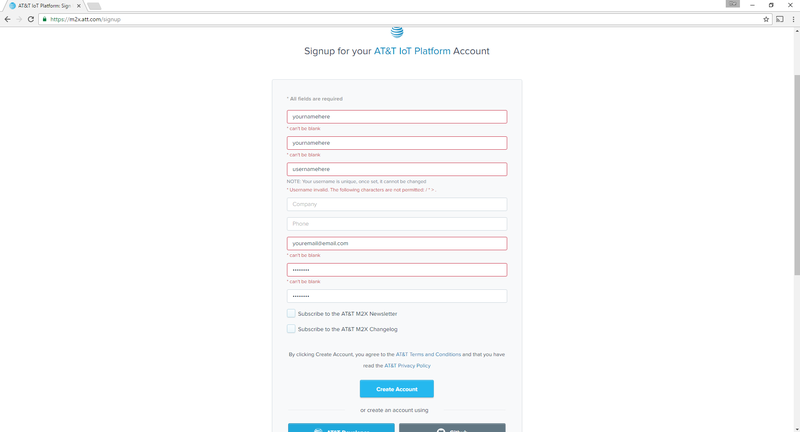 If you have an existing account, and are adding another device, follow these instructions. 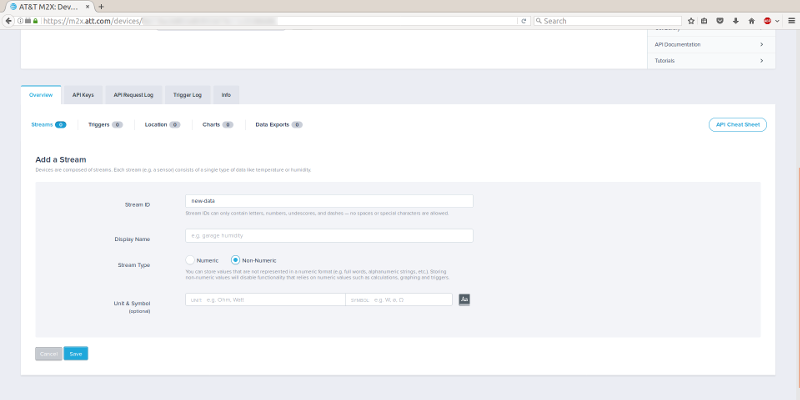 Click on the "Devices" link on the top of the page to navigate to the "Devices" page. Next, add a stream for your new device. If you want to test your new device using the cURL command, follow these instructions. 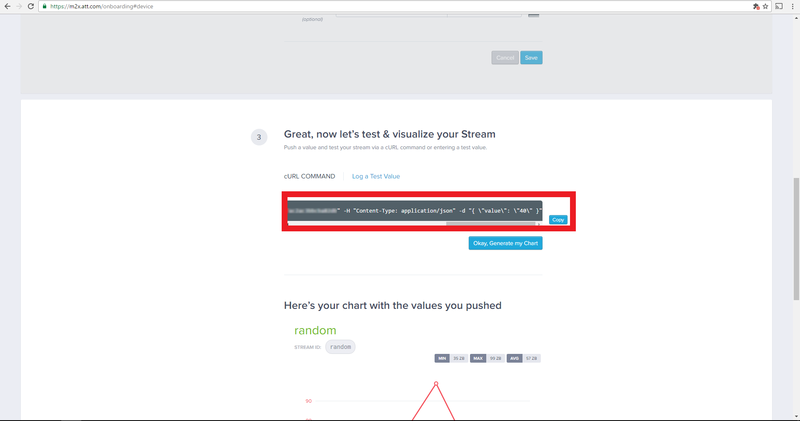 Copy the cURL command and click the "generate my chart" button. Paste the cURL command into your command line interface connected to your device and run the command. You should now see a chart with the information you entered via the curl command on the new chart. 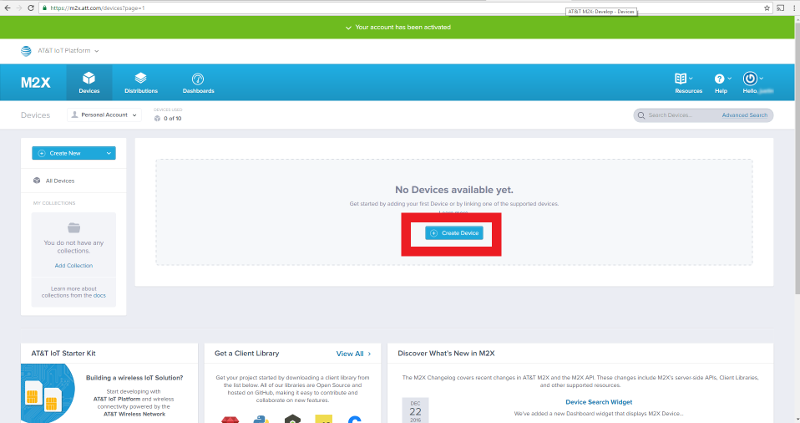 When you now log into AT&T M2X platform you will now be able to view all of your device information. API_KEY - set to <M2X Primary API Key>. 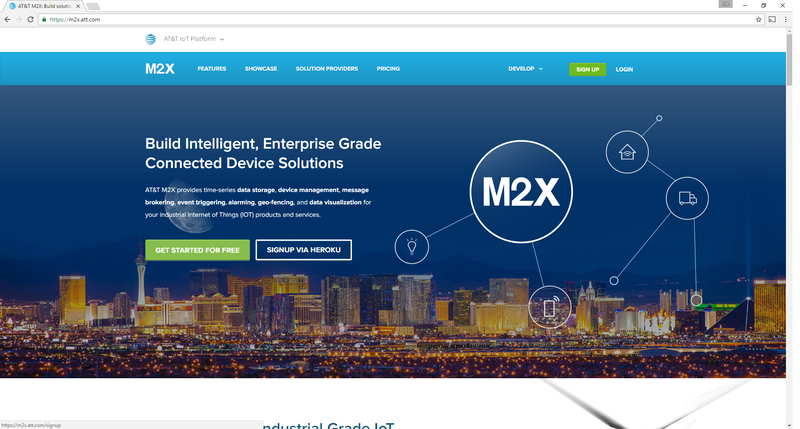 DEVICE_ID - set to <M2X Device ID>. STREAM_ID - set to <M2X Stream ID>. export M2X_API_KEY="[M2X API Key]"; export M2X_DEVICE_ID="[M2X Device ID]"; export M2X_STREAM_ID="[M2X Stream ID]"